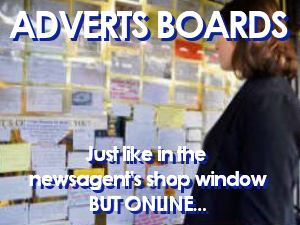 Sell Me A Bargain is like the classifieds area of your local newspaper or the FreeAds paper but instead you get emailed the bargain your hunting for as soon as it arrives. You can list your items for FREE on our website, but that's not the best part. Details of your item will be immediately sent out to our subscribers by email who will then be able to contact you directly by phone or email. Sell me a Bargain is perfect for people who are looking for a bargain price on almost anything and the amazing thing is that the bargains can be sent directly to your email inbox. From just £2 a month (or £10 a year) you can subscribe to receive email alerts whenever anyone adds an item to a category you are interested in. We would describe a bargain to be any item that is up for sale for less than the regular retail price. There are a lot of people that may be looking for that item which you just want to get rid of. So let them make you an offer. 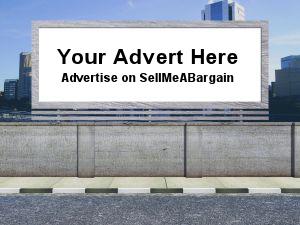 On Sellmeabargain you could be the first person to hear about an item, and could snap up that deal in minutes. If you experience any difficulties, or have any suggestions as to how we could make the experience better, please call us on 07989 571471. Standard Mobile Rates Apply.